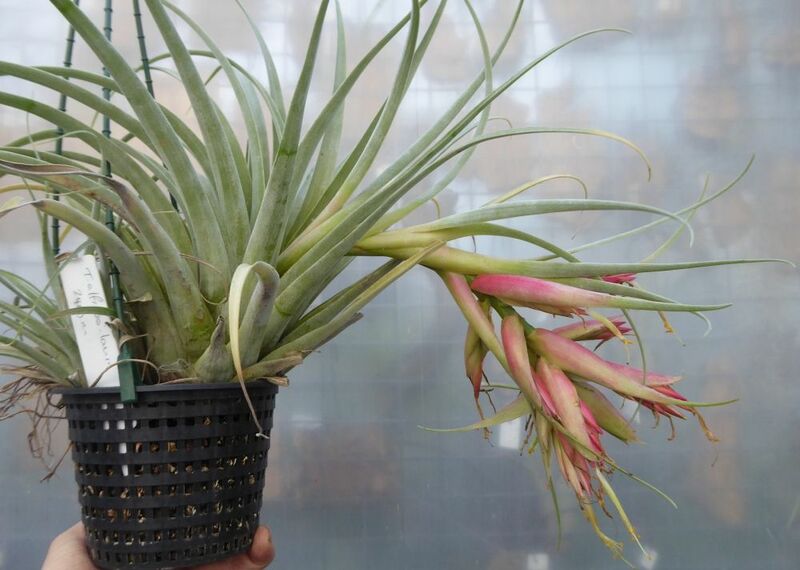 From FCBS ... "Renate Ehlers reports this is natural hybrid between T. violacea and T. erubescens. T. alfredo-laui is very variable, some with plants closer to T. violacea and others closer to T. erubescens and sometimes with violet petals"
Chris Larson ... "Another you don’t see every day. Unfortunately this one got a bad attack of mealy bug in the centre of the flower, distorting it badly, after waiting for ages for it to do its thing. Easy to grow at work, but I hope to get some pups to grow at home – coming from 2400m alt. it should do well outside here in Melbourne."